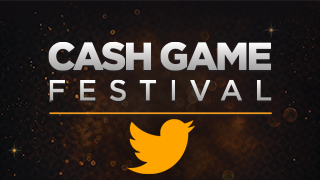 The Cash Game Festival is about to kick off the year at Aspers Casino in London on Jan. 30 to Feb. 3. Join us for nonstop cash game action at a variety of stakes and games, a chance to play at our televised feature table, and tons of fun and activity away from the tables. 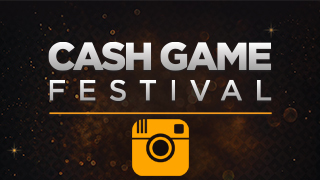 This will be the seventh time the Cash Game Festival visits the British capital. 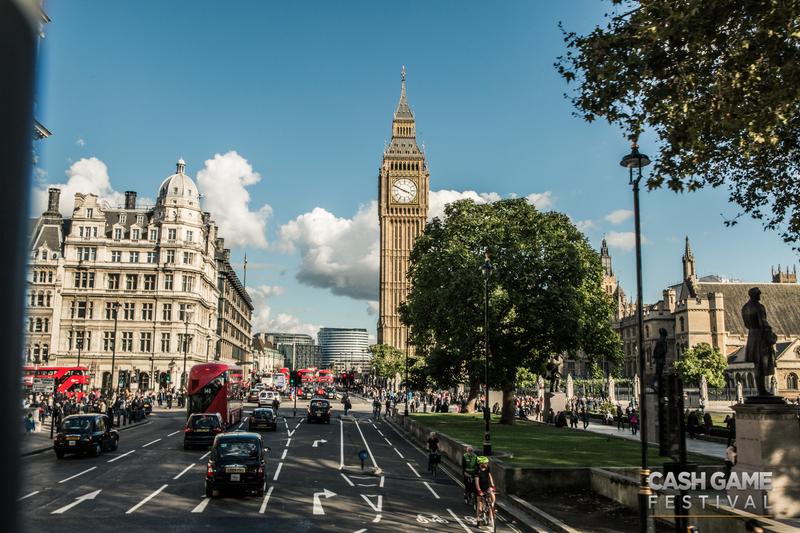 Here is a look back at the Cash Game History in London. After three successful Cash Game Festivals in its hometown of Tallinn, the festival made the brave leap to embark on an international tour in March 2016. Nobody knew how it would go but by any stretch of the imagination, it was a huge success for us and more importantly our players. There were more than 20 tables running, which became a norm at all cash game festivals in the British capital. The first international Cash Game Festival also produced the two biggest televised pots in our history. 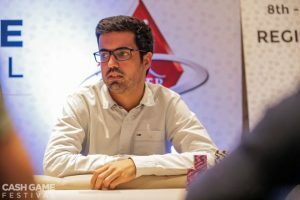 The first big pot was well over £20,000 when Javier Perez Estevez (pictured) with aces, David Pedro Lega with kings, and Andrew Paul Baar with queens were all-in preflop. The trio decided to run it three-times and Estevez’s aces held strong to claim the biggest hand in Cash Game Festival televised history. The next day there was another big televised feature table pot of almost £20,000. Vasile Cosmin Stancu flopped a set with pocket queens and was well ahead when all the money was in the middle against Matthew Moss, who held top pair with ace-queen. The turn and the river were unable to save Moss and Stancu’s win goes down in CGF history as the second biggest televised feature table pot in festival history. The festival revisited Aspers Casino a few months later. Festival and casino records that stand to this day were broken then with 28 cash game tables running simultaneously. Two years ago in 2017, the Cash Game Festival kicked off its international tour once again at Aspers Casino in London. David Clarkson was the star of the show during the inaugural festival of the year. 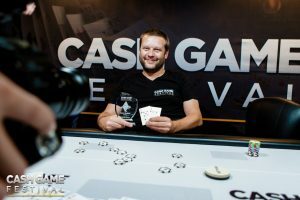 However, it was something new and exciting introduced at the second Cash Game Festival London of 2017 that is now part of Cash Game Festival history with a trophy awarded to the player that won the most big blinds out of any of the official televised feature tables. A then-unknown poker player in Jon Kyte was the first-ever Cash Game Festival trophy winner after he won £4,265 or 853 big blinds at a £2/£5 NLHE feature table. Kyte is now a fixture on the tour and will be attempting to win his third Cash Game Festival trophy when the festival visits London shortly. Fast forward to 2018 and the Cash Game Festival once again opened its season at Aspers Casino in London. Gang Wang started the year off with a bang by shipping the first Cash Game Festival of the year. On the final feature table of the festival, Wang won £9,064 (1,812.8 big blinds), which still stands as the most money won while also shipping a trophy. 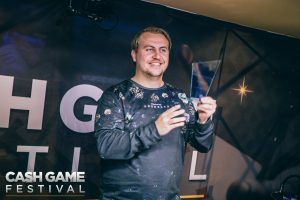 Meanwhile, during the second London festival of 2018, Cash Game Festival Co-Founder Martin “Franke” von Zweigbergk joined Jon Kyte as the only players to win two Cash Game Festival trophies at the time. by booking a profit of £1,500 or 750 big blinds at a £2/£2 PLO feature table. Later in the year, Cash Game Festival legend Kevin Malone joined the duo by winning his second trophy as well. 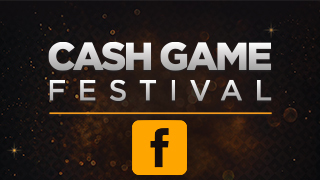 The Cash Game Festival London at Aspers Casino on Jan. 30 to Feb. 3 is perfect for both recreational and professional players looking to grind and have a good time. Come join us and be part of the rich history we have in the British capital. Register here for the games and live feature table. We’ll get in touch with you after you submit the contact form. Let’s take London by storm!